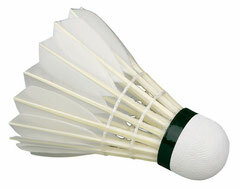 Club Information - Headingley Badminton Club - headingleybadderss jimdo page! The club plays at the Forum Leisure Centre, situated on the Quarry House site in Quarry Hill (known locally as the DSS building or 'the Kremlin'. There is an annual membership of £50 per season. Club nights are £4 each for members and £5 for non-members. You must be a member to play in matches. Match fees are £5. Alternatively park in large carpark behind Playhouse theatre & walk accross to building. Junior players are welcome to Sunday club sessions when accompanied by an adult. Coaches are required to be current members of the badminton england coaching register. What goes on at Headingley Badminton Club?